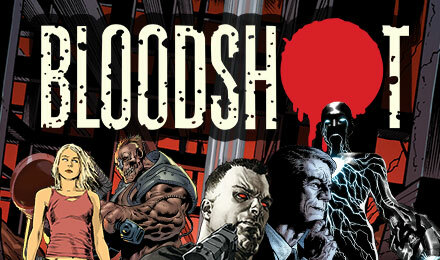 Bloodshot Slots is based on the classic 90s comic book. Bloodshot needs your help, so start spinning! There are loads of bonuses waiting for you along the way. Bloodshot needs your help getting revenge. Do you have what it takes? You’ll be rewarded generously with multipliers and FREE Spins – all you have to do is login and spin! Bloodshot Slots has 5 reels and 40 paylines. Be sure to look out for the Wild symbol, which can help complete winning combinations, in addition to the Random Wild. Plus, you’ll get one spin on the Bonus Wheel when 3 or more Bonus symbols appear across the reels. Good luck!